At a hearing on December 9, Kwame Ajamu (formerly Ronnie Bridgeman) was formally exonerated of the 1975 murder for which he was convicted and sentenced to death. Ajamu joins his brother, Wiley Bridgeman, and co-defendant, Ricky Jackson, on DPIC's Exoneration List, becoming the 150th death row exoneree since 1973. Ajamu, Bridgeman, and Jackson were convicted based on the testimony of a 12-year-old boy who recently admitted that he never saw the killing. Ajamu's death sentence was reduced in 1978 when Ohio's death penalty statute was found unconstitutional. He was released from prison in 2003. Upon his exoneration, Ajamu said, "The important part is that we have been united while we are standing forward and upward and that we are not looking at each other in the graveyard," adding, "I feel vindicated. I feel free." The three men are expected to file for compensation for their many years of wrongful imprisonment. Cuyahoga County prosecutors said they will not object to efforts to obtain compensation, saying that the men were "victims of a terrible injustice." Former death row inmate Ricky Jackson will be formally exonerated on November 21 in Ohio, after spending 39 years in prison. A judge in Cleveland will dismiss all charges against Jackson, with the prosecution in agreement. Jackson is one of three men convicted of the 1975 murder of Harold Franks. The other two defendants, Ronnie and Wiley Bridgeman, were also sentenced to death and have filed a petition for a new trial, but that petition has not yet been resolved. Jackson's death sentence was vacated earlier, and the Bridgeman brothers' sentences were overturned when Ohio's death penalty was found unconstitutional in 1978. The men were convicted on the testimony of a 12-year-old boy who later recanted his testimony, and who now has said he did not witness the crime at all. Several people confirmed the boy was on a school bus at the time of the crime. No other evidence linked the men to the murder. A gun and car seen at the crime scene were linked to a man who was arrested in 1978 for another murder, but he was never charged in Franks' murder. In dropping the charges against Jackson, Cuyahoga County Prosecutor Timothy McGinty said, "The state is conceding the obvious." Ricky Jackson will be the 148th person exonerated from death row in the U.S. since 1973, the fifth in 2014, and the seventh in Ohio since 1973. The Texas Court of Criminal Appeals, the state's highest criminal court, vacated the conviction and death sentence of Alfred Brown, who has been on death row for murder since 2005. Brown has maintained his innocence and has said that a landline phone call he made from his girlfriend's apartment the morning of the murder would prove it. At his trial, Brown's attorneys presented no evidence of his alibi, and his girlfriend changed her testimony after she was threatened with prosecution. In 2013, a homicide detective found a box of records in his garage containing phone records that indicated Brown made a call exactly when he claimed. The file was never shared with Brown's defense team at his original trial. District Attorney Devon Anderson said, "As a result of this review, our office agreed that Mr. Brown should receive relief in his case so that justice could be served. Following our office's agreement that relief should be granted, today the Court of Criminal Appeals sent Mr. Brown's case back to the trial court for a new trial." Anderson said she will now review the case to determine whether to retry Brown or drop the charges. 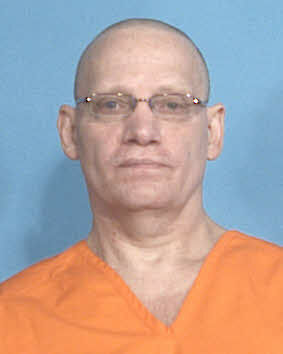 Carl Dausch, a former death row inmate in Florida, has been added to DPIC's list of exonerations from death row, bringing the national total to 147 and Florida's total to 25, the most of any state in the country. On June 12, 2014, the Florida Supreme Court directed the acquittal of Dausch because there was insufficient evidence of his guilt. The Court stated, "We do not take lightly the result that will flow from our decision today. We have reviewed the entire record in this case with the utmost seriousness and care. Yet, our comprehensive review of this case leaves us with the inescapable conclusion that the evidence is simply insufficient to conclude, beyond a reasonable doubt, that Dausch was the person responsible for murdering Mobley. At best, the evidence presented by the State creates a suspicion of guilt." Dausch's is the fourth death penalty exoneration in 2014. 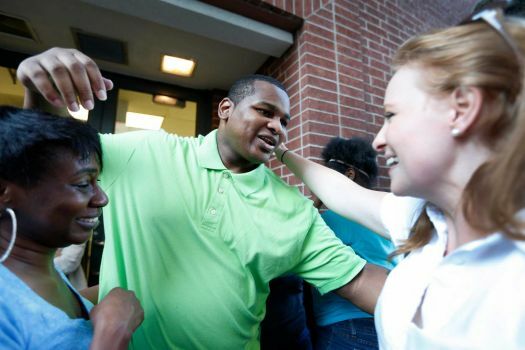 Glenn Ford was exonerated in Louisiana in March, and Henry McCollum and Leon Brown were exonerated in North Carolina in September. All three men had been imprisoned for 30 years.